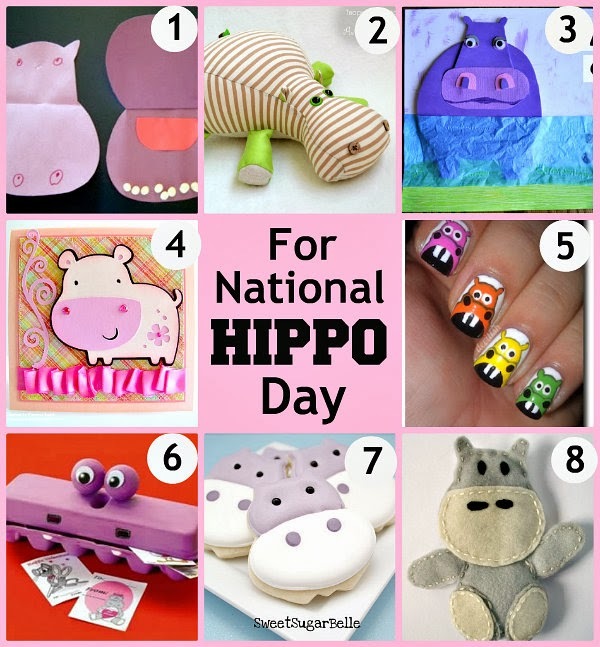 Did you know there’s a National Hippo Day? 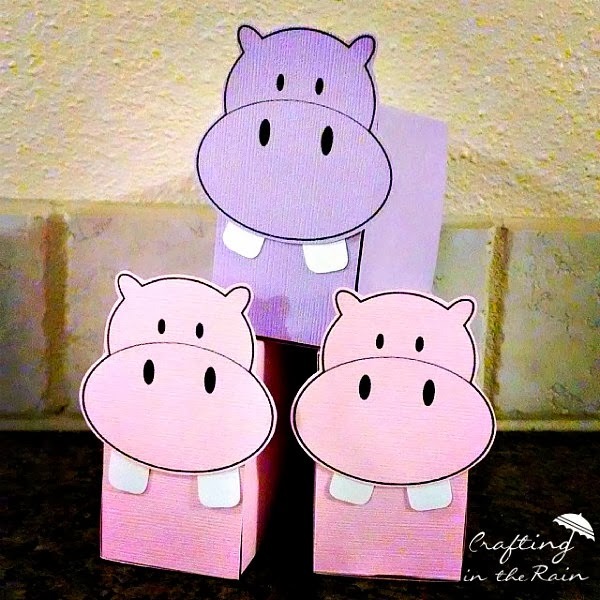 It happens on February 15th, and now you can celebrate with these cute hippo crafts. Box of animal crackers with string cut off. 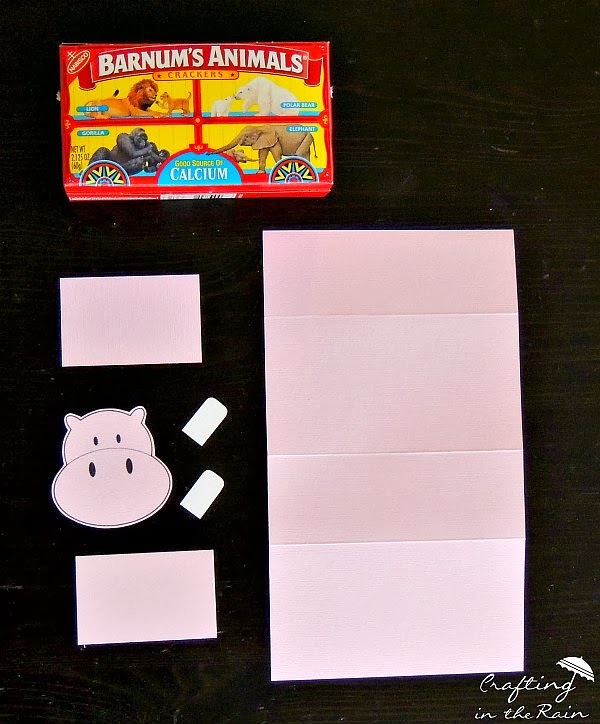 First, attach the small cardstock pieces to the ends of the box. Then, wrap the large piece around the box and attach it to the bottom. To get really nice fold lines, use a scoring board and scoring tool. 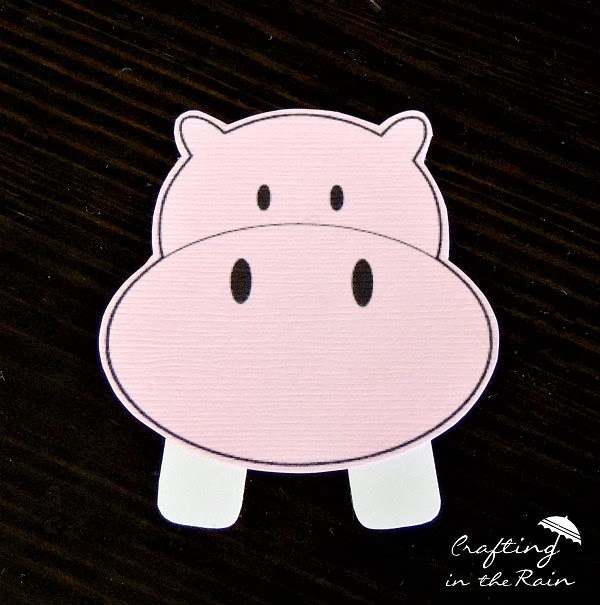 Cut out the hippo faces. 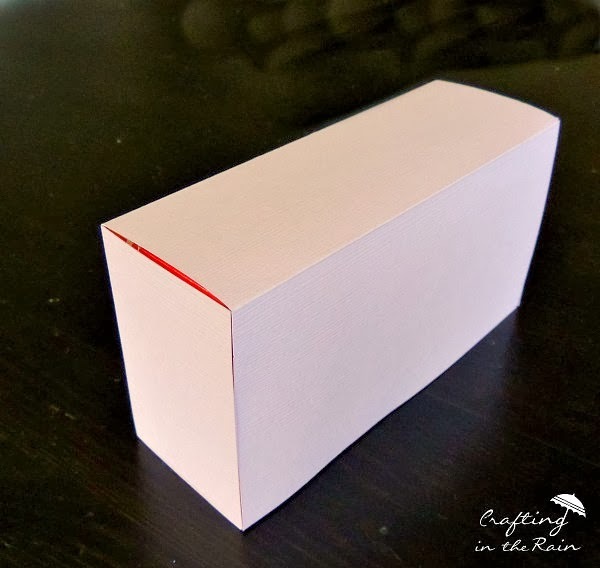 Glue the white cardstock pieces to the face so they stick out from behind as teeth and attach the face to one end of the box. 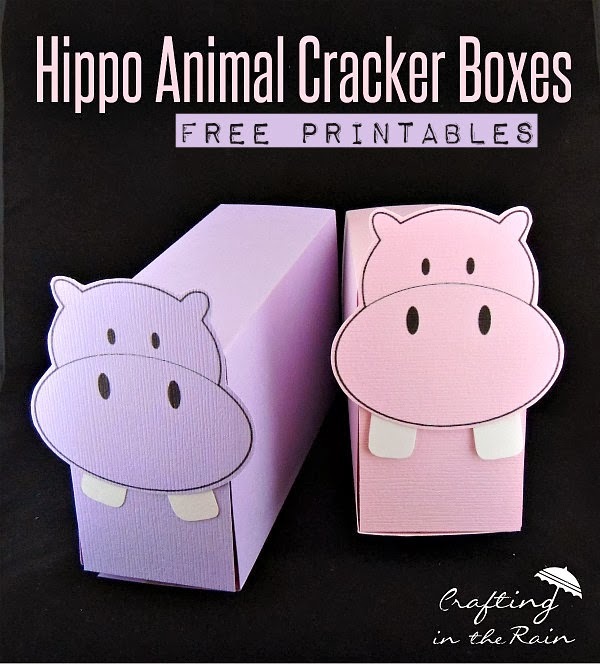 Now you have snacks for National Hippo Day, or Hippopotamus party favors! I turned them into little Valentines for my kids and wrote on the side: I made you this hippopotamus, Cuz I love you quite a-lot-amus. 🙂 How will you be celebrating National Hippo Day?